The latest Nintendo Download update for Europe has arrived, and it's bringing new games galore to the eShop in your region. As always, be sure to drop a vote in our poll and comment down below with your potential picks for the week. Enjoy! 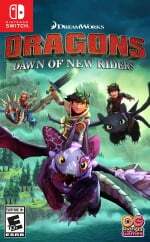 DreamWorks Dragons Dawn of New Riders (Outright Games, €39.99 / £34.99) - A new heroic dragon and rider are taking to the skies and only you can help them defeat the evil villains who destroyed a dragon sanctuary created by Hiccup, Toothless, and his dragon riders. When the island of Havenholme is found in ruins, mysterious survivors emerge as unlikely future heroes. Scribbler is a scholar who cannot remember his past while Patch is a unique breed of dragon, a “chimeragon,” with new, unexpected powers they discover along the way. 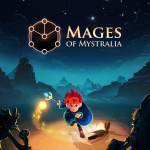 Together they must explore new islands, battle fierce enemies and recover the memories that reveal Patch’s true origin in this fun and fiery new action adventure. 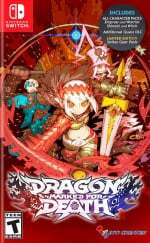 Dragon Marked for Death: Frontline Fighters / Dragon Marked for Death: Advanced Attackers (Inti Creates, €14.99 / £13.49) - Choose from four playable characters (Empress, Warrior, Shinobi, or Witch) and defeat your enemies to gain experience and level up. You'll receive points as you level up that can increase your attack power, defence, agility, and other parameters. Customize your character in a way that best suits your individual playstyle! 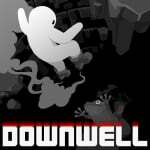 Downwell (Devolver Digital, €2.99 / £2.69) - Downwell is a curious game about a young person venturing down a well in search of untold treasures with only his Gunboots for protection. Make your way further and further down into the darkness filled with nasty creatures and mysterious secrets to collect the spectacular red gems scattered about the rocks. Step into precariously placed shops and buy some helpful items or level up between levels to battle well-dwelling monsters and uncover hidden caves filled with riches and relics. No two trips down the well are ever the same! Drowning (Sometimes You, €2.99 / £2.69) - Walk through a variety of beautiful low-poly environments as a story unfolds about how he learns to live with his inner demon. You will play in the eyes of a young boy starting out high school in year 7, and play through his following years, where he learns that living with depression is like living with someone trying to put you down all the time. Walk through all the beautiful environments with a lovely soundtrack that suits the current mood of the game, and find all the hidden endings. Fishing Star World Tour (WFS, €24.99 / £22.49) - Over 180 kinds of fish! More than 70 types of fishing gear! 40 fishing locations! Explore various locations and see a lot of fish! Catch a big one by changing your equipment to match the fish and setting! Fish that are caught are recorded in the “Fish Book”. Become an angling master! Hyperide (Kool2Play, €1.99 / £1.79) - This game puts a modern spin on obstacle-course style vertically scrolling arcade games, and is inspired by the all-time classics. The player controls an ultra-fast spaceship on a rescue mission and needs be mindful of the oncoming space debris, as well as the power level of the ship, which is resupplied by picking up special crystals. Onigiri (CyberStep, Free) - In a Japan filled with spirits and monsters, ages ago, the land itself was rocked by chaos. From the depths rose the terrible Kamikui who carved a path of destruction through all. Play alongside famous figures from history and myth like Shizuka Gozen, Miyamoto Musashi, and many others to battle the mysterious Kamikui! AGARTHA-S (mebius, €7.90 / £7.19) - You will become an explorer and aim for the utopia “Agartha” deep in the ground. Cellular automaton reproduces natural phenomena in the underground world, which is the same physical law as the real world. Water flows, rocks pile up and collapse, The steam condenses into water by coldness and when the temperature falls further, it turns into ice. 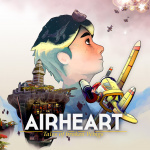 Airheart - Tales of broken Wings (Blindflug Studios, €14.99 / £11.99) - Airheart is a dieselpunk airplane action game, where every colourful level is built on top of the previous one, all the way up to the stratosphere. Welcome to Granaria, a flying city in the clouds. Meet Amelia - a young pilot and fisherwoman wishing to reach the abundant world's edge. Sky fishing became a really dangerous job, with pirates roaming around everywhere. So start your engines, arm your airplane and get ready to make the catch of a lifetime! Arcade Archives MOON CRESTA (HAMSTER, €6.99 / £6.29) - "MOON CRESTA" is a shooting game produced and released by Nichibutsu in 1980. Players control Unit1 and Unit 2 and Unit3 of the airplane, and coalescing these airplanes, will defeat the enemies. 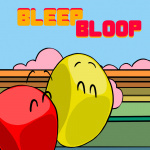 Bleep Bloop (Zerouno Games, €3.99 / £3.99) - A light-hearted and playful puzzle game about working together. Play alone controlling both characters or share the experience with a friend. Bleep Bloop is extremely easy to learn, but that doesn't mean the puzzles will be a piece of cake. BOMBFEST (Whitethorn Digital, €17.49 / £15.79) - BOMBFEST is an award-winning party game for you and up to three friends! Battle in wooden forts, on folding chairs, and inside the kitchen sink as you attempt to be the last player standing. Use bombs to eliminate your foes, but don’t get caught in a chain reaction of explosions! Eggggg - The Platform Puker (Hyper Games, €14.99 / £12.99) - Gilbert has an extreme allergy to eggs. Eating them will literally make him vomit like a fountain. He escapes from his mean aunt Doris in order to get to a birthday party, and needs to use his vomiting superpower to survive a world of angry cyborg chickens... of course. FREECELL BATTLE KING (Making, €6.99 / £6.29) - Battle play is exciting! Clear speed is the key! Sharing one unit, two Switches or online, enjoy the fun of competition with freecell! The tasks are 3000 questions! There is the ordinary "KING Mode" and easy "MAY Mode". Collect the "collection" by clears to colour the game screen. Gabbuchi (h.a.n.d, €6.99 / £6.29) - "Gabbuchi" is a curious creature that loves gobbling blocks and stuff. His favourite food is the heart cookie. In order to get it, you have to think about which blocks he can and can't gobble. He can gobble blocks the same colour as himself. You can change his colour, too, so he can gobble different coloured blocks. Halcyon 6: Starbase Commander (Smiling Buddha Games, LLC, €16.99 / £14.99) - On the edge of Terran space lies Halcyon 6, a derelict starbase left behind by a mysterious precursor race. Your mission is to reclaim the derelict station and rebuild it. A mysterious alien force is making a beeline towards Earth and this starbase is the best chance for the New Terran Federation to establish new alliances, research new technologies and otherwise figure out a way to stop the impending invasion. 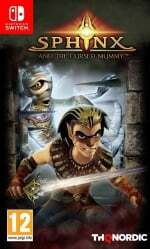 Merchants of Kaidan (Forever Entertainment, €9.99 / £8.99) - Merchants of Kaidan is a challenging trading game fused with RPG elements. You start very humbly, one cart, a purse of gold, and silver coins are all you have. Your task is to roam the world and search for opportunities to score some profit. Buy low, sell high - a merchant's motto is easy to grasp. And yet the job is harder than it seems! Planetarian (PROTOTYPE, €9.99 / £8.99) - Sarcophogus City, a city where the rain never ceases, sets the stage for the emotional tale of a Junker and a Robot, Yumemi, shaped like a young woman. Planetarian is a sci-fi visual novel, brought to life with beautiful art and a stirring soundtrack. Piczle Colors (Rainy Frog, €12.00 / £10.00) - Use the numbers around the side of the puzzle to work out how many blocks of which colour should be painted in each row and column. Since the order of the numbers doesn't determine the order you need to paint the colours you'll need to stretch your brain to figure it out. Robothorium (GoblinzStudio, €14.99 / £13.99) - 2052. Planet Earth. BreakTech, an enterprise specialised in robotic construction, is flourishing thanks to thorium, an unlimited and innovative power source. After many years of exploitation, robots are finally protesting for their rights. But the peaceful movement is quickly escalating to riots and the human repression is near. Now seen as a first-degree threat, robots are hunted down and culled throughout the planet. 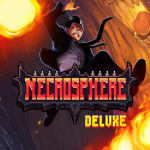 Necrosphere Deluxe (UNTIES, €7.99 / £6.49) - Necrosphere is where you go when you die, regardless of being good or bad. You don’t see other people around there. You don’t have anything to do, except waiting for eternity As soon as Agent Terry Cooper hits the Necrosphere, he learns about the portals that can take him back to the world of the living (also called Normalsphere), and his quest to escape the afterlife is set. Stray Cat Doors (PULSMO, €2.27 / £2.04) -It is an escape game that solves a mystery together with a cute character. It is a game that even beginners can enjoy. Go around various stages, use items or solve problems and escape. Healing music. Turn on BGM and play around. Tangledeep (Impact Gameworks, €17.00 / £15.79) - Tangledeep combines the 16-bit graphics and polish of classic SNES-era RPGs with elements from roguelikes and dungeon crawlers to create a magical experience for players of all skill levels. Trapped in underground villages with no memory of the world at the surface, you must survive an ever-changing labyrinth to discover what lies above. TORIDAMA: Brave Challenge (G-mode, €3.56 / £3.21) - TORIDAMA: Brave Challenge is a mini-game collection based on the courage test. Test your weak feeling inside of you as we say “Chicken Level” based on timing of pressing a button, level, and pitch in various kind of critical situations. Zombie Night Terror (Plug In Digital, €14.99 / £13.49) - Prepare yourself for the most thrilling night of your life! Something strange has happened and people everywhere are turning into bloodthirsty walking corpses. But guess who’s the brains behind this hungry undead army? YOU! So spread this pandemic to wipe humanity of this planet. Because the only way to survive the zombie apocalypse, is to BE the apocalypse! Farm Together (Milkstone Studios, €19.99 / £17.99) - The ultimate farming experience! From the creators of Avatar Farm comes Farm Together, the ultimate farming experience! Start from scratch, with a small plot, and end with a huge farm that extends further than the eye can see! Shanky: The Vegan's Nightmare (Artvision Games, €5.99 / £5.39) - Shanky is a joyful meat grinder and mince is its movement force. Swallow up everything you can and collect Meat-Cola to stay on the move. Participate in a stunning story of love and self-sacrificing. Depending on the level, Shanky would change its movement force accessories to legs, wheels, wings and boat. During the boss battles, you would learn how to use its mince launcher. Collect Meat-Cola to expand Shanky's stomach and success is guaranteed. And remember - there is never enough mince, so keep grinding! 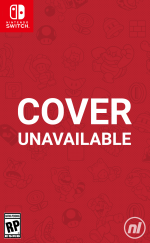 Spoiler Alert (Megafuzz, €4.99 / £4.99) - The platformer you play... In reverse! You know how it ends... But how did it begin? Forget the classic tropes - they will be used against you! Thea: The Awakening (Monster Couch, €16.19 / £14.39) - Thea: The Awakening is a turn-based strategic survival game steeped in Slavic myth and monstrosity set after an apocalyptic force known only as The Darkness has engulfed the world. There are Strigas and Baba Yagas aplenty, but there are no heroes, no monster slayers, and no great armies capable of banishing them. You have only a few hopeless and starving survivors who are desperately trying to stay alive. You are their last and only true hope! Away: Journey To The Unexpected (Plug In Digital, €16.99 / £14.99, pre-order from 29/01/2019) - Welcome to a feel-good FPS! A colourful adventure combining action, negotiation and rogue-lite elements. You play as a kid that is neither a hero nor a warrior. Yet with the power of friendship, you will overcome every obstacle in your way! Choose your path through the levels, uncover the light-hearted story, and above all, recruit allies. All the wacky and powerful characters you meet can be played in first-person, and it’s up to you to find the right answers to get them to join your team! Hell Warders (Pqube, €14.99 / £10.99, pre-order from 29/01/2019) - Hell is at our gates! Rise up as one of the mighty Hell Warders, an ancient order of heroes with unique powers and abilities, to resist the demon hordes head-on. Push back wave after wave of Hell-spawn with an arsenal of weapons, rip apart their fearsome commanders with powerful hero skills, and deploy your army of knights, archers, and mages to bring the fight back to Hell! The Stillness of the Wind (Fellow Traveller, €9.76 / £8.49, pre-order from 29/01/2019) - One by one, everyone left the once bustling village for the city. Everyone, except Talma. Now approaching the end of her days, she maintains a simple, solitary way of life, surviving, subsisting, tending to her homestead and her goats. Iron Crypticle (Tikipod, €8.09 / £6.74, pre-order from 30/01/2019) - The glorious Royal Treasures of Cryptonia have been stolen! Now the King’s washed-up knights must suit up and descend into the ancient palace crypts to return those GOLDEN GOODIES! Ape Out (Devolver Digital, €14.99 / £13.49, pre-order from 31/01/2019) - Ape Out is a wildly intense and colourfully stylized smash ‘em up about primal escape, rhythmic violence, and frenetic jazz. Build up nearly unstoppable momentum and use your captors as both weapons and shields to crush everyone on your procedurally generated path to freedom. Mercury Race (Herrero, €7.99 / £7.99, pre-order from 31/01/2019) - Mercury Race is a shooting & racing game set in a retrofuturistic world. 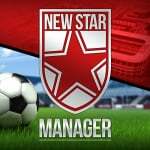 Finish each circuit in time to obtain the badge and achieve ranking number one. The game will challenge not only your driving skills but also your shooting accuracy. NEKOPARA Vol.2 (CFK, €10.99 / £9.89, pre-order from 31/01/2019) - The sequel to NEKOPARA, a touching adventure game that's become a worldwide sensation, is coming to Nintendo Switch! This newest edition will feature a new opening movie and theme song, all-new hand-drawn art from NEKO WORKs, and new fully voiced story scenes. The game's gorgeous graphics are all in high definition for a truly complete experience. Pocket Academy (Kairosoft, €10.00 / £8.99, pre-order from 31/01/2019) - School got you down? Wish you could change a few things? Well, now's your chance to create the ultimate dream school in this simulation smash-hit! Tailor your personal academy as you see fit, erecting classrooms, making clubs--even deciding this week's hot couple! Sky Gamblers - Afterburner (Atypical Games, €16.99 / £15.29, pre-order from 31/01/2019) - This is the latest and greatest jet dogfight game, coming from the creators of Sky Gamblers, Battle Supremacy and Radiation series! Get into the cockpit and prepare to take-off. Unlock, upgrade and customize the weapons and defences of more than 100 planes. Paint your favourite jet fighter, customize patterns and badges for the ultimate looks. Become the master of the skies! The King's Bird (Graffiti Games, €19.99 / £17.99, pre-order from 31/01/2019) - Escape into a world kept secret by a tyrant, and discover the truth about your freedom. The King’s Bird is an artistic, momentum-based game that seamlessly combines precision-platforming with physics-based gliding. So that's your lot for this week's Nintendo Download. Go on, be a sport and drop a vote in the poll above, and comment below with your hot picks! Planetarian and Wargroove and the definite buys for this week. Downwell is a maybe and I have no idea what to make of Tangledeep yet but it has me curious. Preordered Nekopara Ver.2 and have been really interested in Away: Journey to the Unexpected ever since the reveal trailer so excited that that's out next week. A lot of good stuff on sale too but I've already got all the ones I want I think. 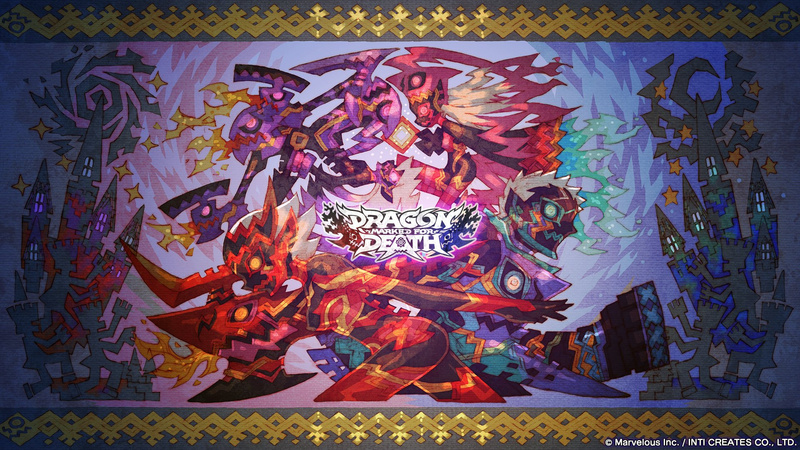 Nothing for me personally, I'm waiting for the physical version of Dragon Marked For Death. That said, Ittle Dew 2+ is on sale and I strongly recommend it. Wargroove and Stella Glow for me. Been wanting Stella glow but seconds hand copies are super expensive. Very tempted to get Ittle Dew 2 and Rodea the Sky Soldier at those prices. @RupeeClock That's been on my watch list for a while. I played the first on wii u. Was always put off by the high price of the second one. Do you know how long the game is? As I feared, no ACA Neo Geo game this week either. That's 2 in a row. Why don't they just finish releasing all the announced titles and THEN enter a hiatus? There were 2 titles left of this batch. 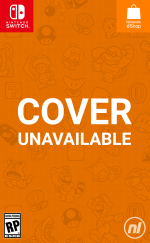 Specifically The Ultimate 11 and the long awaited and several times delayed Puzzle Bobble 2. It's a much longer game, more combat focused and still plenty of great puzzles. It has 8 mandatory dungeons, 4 secret dungeons, I think 5 bonus dream dungeons, a large overworld with lots of secret caves, secrets in secret caves, and more. To 100% it for the first time will take a good many hours, it's a blast. With practice, a speedrun can be under an hour due to the open nature of the game, item progression, and dungeon order. All you need is the specific item to clear some dungeon puzzles and they can be found outside of dungeons too. Finding the same item again results in an upgrade instead. @RupeeClock Thanks for the impressions. Might pick this up at that price. Wargroove and Downwell for me. Already downloaded Save Me Mr. Tako, The End is Nigh and Hexologic yesterday. Wargroove isnt playable until tomorrow. 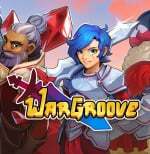 Wargroove, Thea: The Awakening, and Tangledeep are my recommendations for this week. To borrow the over-used cliche of "it's the Dark Souls of X genre", Thea: The Awakening is the 4X/Civilisation equivalent of Dark Souls/The Witcher. It's a hard, brutal game in a dark world filled with despair, and it's AMAZING. And Tangledeep is a must-have for anyone with a passing interest in rogue-likes or rogue-lites. It's the best of the genre on the Switch so far. Just Dragon Marked for Death right now. Might check out some of the other games this week at a later time. Downloaded save me mr Tako and Pool panic. Was also interested in Rain world, but that one got bad reviews. The Way isn't discounted by the way. If it was I might have gotten that one too (even if that one also doesn't score that high). Woohoo, best 3DS sale in a LONG time. Quite a few of those Nicalis games have been on my wishlist for ages - might finally push the button on Cave Story. Also, Ys VIII is hard to resist, especially as it's getting harder to find physical copies. Some very decent sales in that list - and I'm tempted by Dragon Marked for Death and Downwell too. I bought Stella glow last week... This annoys me so much. But I will buy RPG Maker Fes and Legend of Legacy at a discount at least. And probably the Shin Megami Tensei games as well. Best 3DS discounts in a looooooooooong while, haven't been a good 3DS eshop sale for almost 2 years. Just Downwell for me, a nice cheap purchase! Played this a little on phone but touchscreen controls don’t really suit this so I gave up on it. Downwell and Wargroove purchased already. I’ll probably try the Bad North demo. And the Disagea 5 sale is tempting to. Glad it’s pay day! I'll try the demo of Bad North though. Nice to see that there are a good amount of demos available. I hope that more and more devs and publishers will do so. Getting Save Me Mr Tako and Pool Panic. Thankfully I was able to get YS VIII digitally on PS4 for only £16. The Switch version may well come down even lower at some point if people are prepared to wait a while. Also going to try Spheroids at that price. Even though it got poor reviews everywhere I still really want to give it a go. @USWITCH64 Absolutely not. This is probably the best sale I've ever seen on the 3DS. Just bought Stella Glow, The Legend of Legacy, Etrian Mystery Dungeon, RPG Maker Fes and Culdcept Revolt. I guess I won't be needing a Switch in a long while. WarGroove and Thea are both my jam. But with that vomiting game and Shanky the eShop is looking more and more like Steam and not in a good way. The way remastered is discounted now, and tempting at that price. However, I heard the game has quite some game-breaking bugs that corrupt your save-data. 1 seems to be fixed, but I am not so sure about the others. I think I'll just skip. Moon Cresta. Played this a lot in 1982, took the edge off the pure hell of being in 1st year at secondary school. Nostalgia aside, it's a great little game with lovely warbling, tweeting sound effects that have stayed in my head for over 36 years.